The Japanese service company Hitachi Construction Machinery Co., Ltd. (HCM) was founded in 1951, soon after Hitachi Ltd. established its construction machinery division. Current company was established in 1970, when the HCM service company and HCM manufacturing company decided to merge into one, Hitachi Construction Machinery Co., Ltd as a part of Hitachi Group company. The company is headquartered in Tokyo and employs almost 24000 people (2017). Although Hitachi machines are suitable for various tasks including digging, loading, carrying, breaking, grabbing, cutting, crushing, and screening, Hitachi Construction Machinery is a excavator specialist, covering wide range of products, from the smallest Zaxis ZX17U-2 compact excavator to the giant EX8000-6 mining shovel. Apart from these models, Hitachi also offers machines such as rigid-frame haul trucks, short swing-radius excavators, wheeled excavators, hydraulic excavators, recycle machines, loaders and compaction equipment. All together, Hitachi offers the widest range of excavators in the world. Hitachi previously built bulldozers and crawler cranes (cranes transferred to Hitachi Sumitomo Heavy Industries Construction Crane Co., Ltd.). Similarly to Komatsu, Hitachi also builds anti-personnel landmine removal equipment based on excavators. According to statistics (2017), Hitachi is currently the 3rd largest construction equipment manufacturer in the world with equipment sales of 8.3 billion U.S. dollars. Second place belongs to another Japanese company, Komatsu, with sales of more than 19.24 billion U.S. dollars. The king of construction equipment remains American Caterpillar - 26.64 billion U.S. dollars in sales! Closely behind Hitachi and therefore the 4th and the 5th places belong to Volvo CE (Sweden) and Liebherr (Switzerland), achieving 7.81 and 7.4 billion U.S. dollars. A subsidiary company, Hitachi Construction Machinery (Europe) NV was established in 1972 in Oosterhout, The Netherlands as a first foreign branch of HCM. European division is currently also responsible for sales and marketing of Hitachi construction equipment through Africa and the Middle East. Its product range consists of excavators, wheel loaders, dump trucks and cranes.Hitachi claims that all the models come with smooth operating control, multitasking capabilities, total dependability, and low operating costs. Hitachi takes care of the environment as it tries to solve some environmental issues such as global warming, air pollution and the cyclical use of resources. Hitachi’s answer is the development of environmentally-friendly equipment such as hybrid machines (low-carbon types), electric-hydraulic excavators and battery-powered excavators, electric motors, low-noise construction machinery or the usage of bio-fuel. In 2014, Hitachi Hybrid hydraulic excavator ZH200 achieved a world-first 500-hour running time for a hybrid hydraulic excavator, using 100% biofuel. The history of Hitachi crawler excavators starts shortly after the World War II. Japan remained a worn-torn country after the defeat. There were needs for recovering and rebuilding the country. That is why Hitachi aimed for the construction industry. Everything started with the development of Hitachi U05 - the first cable-operated power shovel made from Japanese technology. 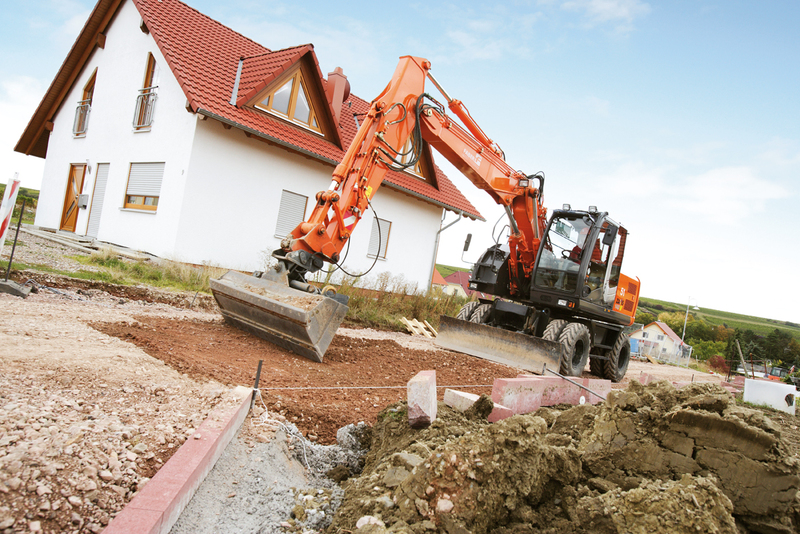 This model could be the “grandfather” of Hitachi excavators. In 1957, Hitachi showed the world the U106 all-purpose excavator - a model more similar to today’s machines. Another milestone dates to 1965 - the releasement of HC03, the first hydraulic excavator developed with Japanese technology. During the next few decades, Hitachi released (then) world’s largest hydraulic excavators: EX3500 (1987), EX5500 (1997) and EX8000 (2004). Nowadays, Hitachi crawler excavator range includes around 90 models of all sizes, suitable for various tasks such as digging, excavating, loading/dumping, mulching, mining, dredging, drilling, grading and landscaping. Crawler excavators are further divided into medium (ZX85US-5A) and large excavators (ZX470R-5G), demolition excavators (ZX210K-5G), hybrids (ZH200-6), material handling excavators (ZX250LC-5) or ICT hydraulic excavators (ZX200X-6). Recent years were remarkable for Hitachi, achieving few milestones: the releasement of the ZH200 hybrid hydraulic excavator in 2011 and especially the launch of ZX200X-5B ICT hydraulic excavator in 2016, core product of Hitachi’s information-oriented construction solutions (followed by the ZX210X-6, the first European market-oriented model, in October 2018). A wheel loader is a heavy construction type of machine, used mainly to transport, load and unload material such as debris, dirt, snow, asphalt, rock or sand around the work site. Wheel loaders are generally equipped with a front bucket featuring much higher bucket capacity than the capacity of backhoe loaders. On the other hand, wheel loaders are not the most useful digging machines as they simply cannot dig much deep below the level of their wheels, unlike backhoe loaders or excavators. Hitachi entered the global wheel loader market in 1988 with the releasement of six models in LX (“Landy”) series. In 2006, Hitachi launched its second wheel loader series, the ZW series with advanced features (quiet engine, emission reduction, operator-friendly design). In 2016, Hitachi released first Japan’s medium-sized hybrid wheel loader ZW220HYB-5B. This model combinates diesel engine and an electric motor for the running system, making it more environmentally-friendly than standard machines like Hitachi ZW220-5A wheel loader. Moreover, the electric motor helps to save more than 26 % of fuel compared to Hitachi ZW2205B and the hybridization reduces the engine noise. 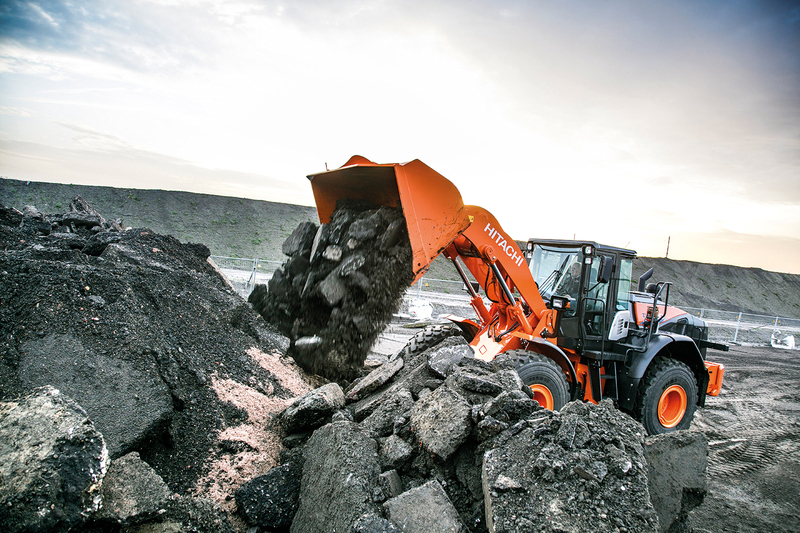 Hitachi actually offers the newest generation of ZW series, around 30 models ranging from 2 to 47 tonnes, such as small-sized ZW65-6 wheel loader, medium-sized ZW220-6 or large-sized ZW550-6. Hitachi ZW series models feature easy operation design for maximum operator’s comfort, lock-up transmission for fuel savings in the safe mode, 360 degrees panoramic view from the cab, ride control, Tier 4 Final Cummins engines, Z-link boom arm design for improved reach and clearance, quick power switch for climbing hills and optional joystick steering. Mini excavators are known for their efficiency as they are used mainly in crowded areas. They are designed to be effective while working in narrow spaces and jobsites. They are also easy to transport by trailer as they are small-sized and light. Hitachi registers 23 models ranging from 800 kg to 5400 kg operating worldwide (including the ZX-2 and ZX-3 series). The company currently offers 8 models of the ZX-5 series ranging from 1 ton to 6 tons in Europe (ZX17U-5 - ZX65USB-5). The smallest model on the European market is the ZX10U-2 (1100 kg), being the 9th and last model available. Hitachi mini excavators share features such as zero tail swing, TOPS (tip-over protective structure) and FOPS (falling object protective structure). These machines are environmentally-friendly, having reduced noise for nighttime construction and low exhaust emissions. Hitachi mini excavators are very popular — in 2004 Hitachi achieved a milestone of 80 000 shipped models worldwide — since 1991. Wheel excavators are versatile machines capable of different tasks such as earthmoving, material transporting, groundworks or road construction work. 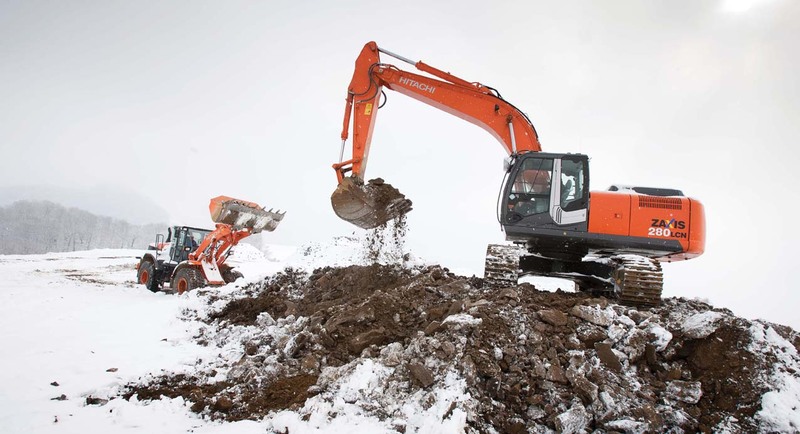 Actual Hitachi range covers 14 to 20-tonne models. These can be equipped with attachments like hooks, grapples, hammers and buckets. They can easily travel around the job sites using Hitachi-made tyres. The smallest model, ZX140W-3F, is equipped with DOHC 4-valve diesel engine of 90,2 kW (121 HP), delivering low fuel consumption and high durability. The 16-ton heavy machine is also boosted with sophisticated hydraulic technology, providing even better engine performance. Model ZX145W‐6 is compact due to its small swing radius of 1,85 m making it ideal companion in restricted urban areas where the space is limited. The ZX170W-3F is a ZAXIS-3 series model, featuring increased driving ability over the former ZAXIS-1 series. This includes improved travel speed by 9 % (ZX170W-3F max. 35 km/h), acceleration performance by 8 % and the fuel consumption when driving is reduced by 26 %. Operator’s safety is secured by CRES II cab. The ZX190W-3F provides even better performance: travel speed is improved by 17 % and acceleration by 15 % compared to ZX-1 series provided by powerful Isuzu AI-4HK1X diesel engine of 122 kW (164 HP). The machine weighs about 19 tons, has a heaped bucket capacity of 0.51 - 1.20 m³ and its maximum digging depth is between 5 390 - 6 330 mm (116 kN bucket force). The ZX210W-3F is equipped with new technologies like LCD displays, rear view camera, theft-deterrent system, lower noise level and ergonomic cabine environment, maximizing the operator’s comfort. The largest wheel excavator — launched in 2015, ZX220W-5B (ZX220W-5), comes with these parametres: 24 tons operating weight, 0.51 - 1.20 m³ heaped backhoe bucket capacity, 158 kN bucket digging force and 122 kW (164 HP) engine. Despite its larger size, ZX220W-5B is environmentally-friendly built machine, featuring low-noise design and fuel reduction against older models. Hitachi states that the ZX220W-5 is able to excavate 800 m3 of material per day. Rigid dump trucks are productive off-road vehicles capable of loading and transporting tons of material around the work site. They are mostly used in construction, mining and quarrying areas, where they work under tough conditions. Hitachi Construction Truck Manufacturing was established in 2004 by the merge of the former company Euclid-Hitachi, ending 80 years of the Euclid name on construction machinery. Moreover, formerly Euclid dump trucks changed colour from the famous green to Hitachi’s orange — definitively entering a new era of dump trucks. The first serie of Hitachi dump trucks therefore included also Euclid-made models. These were, for example, Hitachi EH4500 (198 tons weight, 147.6 m³ dump capacity, 255.4 t net load, 2013 kW Cummins engine power, 67 km/h speed), the EH 1100 (42,8 tons weight , 38.7 m³ dump capacity, 65.6 t net load) or the EH 3000 (122 tons weight, 101.9 m³ dump capacity, 156.9 t net load, 1343 kW engine power). In 2008, Hitachi followed with the launch of more advanced dump trucks — EH3500ACII (168 tons payload) and EH4000ACII (222 tons payload), featuring Hitachi engineered AC drive system technology and impressive Cummins engines of 1491 kW / 1864 kW. In 2014, Hitachi released EH1100-5, standardizing various features such as LCD displays and cameras into their dump trucks. The AC-3 series covers the newest Hitachi dump trucks: EH3500AC3, EH4000AC3 and EH5000AC3. 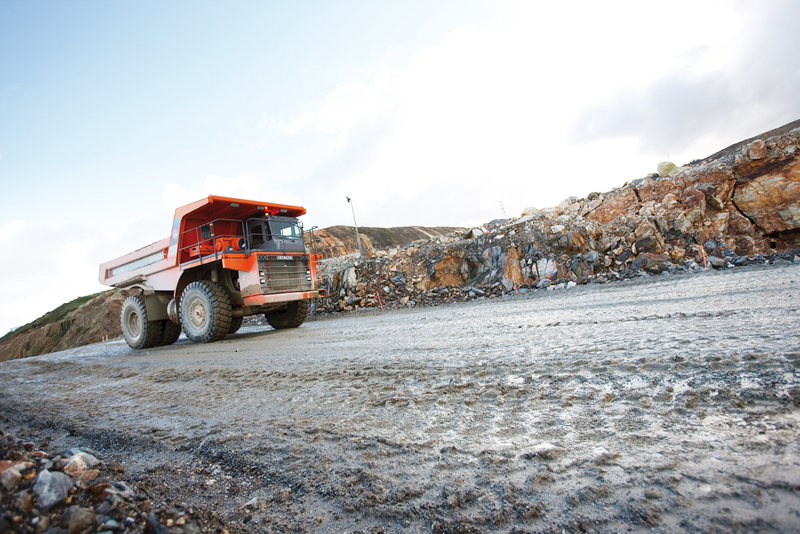 Hitachi is also further developing its autonomous haulage system for mining dump trucks. Cranes on a crawler provide mobility over soft surfaces such as mud or clay. Hitachi cranes are multi-purpose machines, which can be used in a wide range of application, eg. construction, civil engineering and cargo handling. In 1971, Hitachi released KH150 Japan’s first fully hydraulic crawler crane. Since that time, Hitachi has released 3 generation of the former KH series: KH-1 series, KH-2 series and finally KH-3 series (approx. 1989-2002, about 10 models). In 1994, Hitachi also launched the CX series, a fully remodeled version of the KH series (more than 10 models, eg. CX900 and CX700). In 2002, Hitachi Construction Machinery Co. Ltd. and Sumitomo Heavy Industries, Ltd. agreed to form a new joint venture company — Hitachi Sumitomo Heavy Industries Construction Crane Co., Ltd. In 2018, the company changed name to Sumitomo Heavy Industries Construction Cranes Co., Ltd. and launched "HSC CRANES" as new brand mark. Tracked dumpers provide smooth maneuverability on boggy or muddy terrain. They can also climb and travel on steep slopes, where rubble tyre vehicle would slide down and spin out. All 6 Hitachi models (EG30, EG40R-C, EG40R, EG70R, EG70R-3, EG110R) provide 360° rotation of the upper structure, enabling efficient loading and dumping in all directions. This leads to boosted productivity and reduced steering as there is no need for U-turns. Models have a rigid dump body of D-section frame and rubber crawlers with high-tensile steel cores, which, according to Hitachi, leads to 30% increase of productivity over conventional machines. Bigger models, such as the EG70R and EG110R are also equipped with CRES cab (corner reinforced structure) for maximum safety of the operator. The smallest model, EG30, offers 2,5 tons net load and dump capacity of 0,88 m3, making it applicable on more restricted areas. If there is a need for a bigger dumper, the EG40R (500 mm shoe width) comes in handy, offering 4 tons of payload and 1,55 m3 of body capacity, driven by 73,6 kW engine. Larger EG70R (700 mm track width) is capable of holding 2,2 m3 of material, payload of 6,5 tons, driven by 132,6 kW engine. The largest model is the EG110R (800 mm shoe width), 16 tons weighing machine with maximum payload of 11 tons and struck body capacity of 4,06 m3 (6,87 m3 heaped). As for the previous models, the drive is provided by Isuzu engine, this one of 183,9 kW, making it efficient on spacious worksites. This category features only 2 models: the older HX64B (2002-2006) and its successor, the HX64B-2 (2007-2018). These boom lifts are designed for rough-terrain application hence equipped with track drive (caterpillar). The chassis of both models is narrow (1540 mm) making them suitable for restricted area working such as close to fences or walls. The HX64B maximum working height is 8,5 m (6,5 max platform height), load capacity 150 kg (1 person), operating weight 2500 kg, powered by Kubota D722-KA diesel engine (18 kW) with a fuel tank capacity of 30 litres. The HX64B-2 is an newer version of HX64B, sharing the same dimensions and engine, but having few innovations. These are: new operating control panel designed for safety, wide working ranges, hydraulic pilot control system, emissions control engine and low noise design. Hitachi HX series of telescopic work platforms provides wide range of aerial working equipment. HX99B, HX120B, HX140B and HX220B represent the older generation of Hitachi crawler-type high elevation work vehicles. All machines are hydraulically operated thus easier maintenance (against earlier electrically operated types). Compact machine bodies are suitable to work in tight places and narrow work sites thanks to easy maneuvering. Hitachi HX99B offers 11,7 m working height with maximum horizontal reach of 8,3 m. Whole crawler with platform weights 5400 kg and allows 200 kg of net load (2 persons). HX120B and HX140B were launched in 2001 offering 12 m / 13,9 m working height and 10,46 m / 12,6 m working radius. Both models have 250 kg load capacity and are 6700 kg / 8100 kg heavy. The HX220B is the highest platform with over 24 m of working height and 20,2 m horizontal reach, allowing to reach and work on the highest points of buildings and places. The HX220B weighs 17 tons, making it significantly heavier than HX99B, HX120B or HX140B. Newer generation of HX telescopic work platforms is represented by HX99B-2 and HX140B-2 models. These models are equipped with Kubota D1105-K2A diesel engines (13,6 kW). The HX99B-2 highlights are low exhaust gas emission, low noise design, compact dimensions, pilot hydraulic control system and overload warning system. The platform HX99B-2 offers 9,7 m max. platform height and 8,3 m horizontal reach, maximum allowable load of 200 kg, weighs 5400 kg and 400 mm shoe width. The HX140B-2 features 320 mm tail swing, hydraulic pilot control, 3-stage telescopic boom for easy transport, overload warning system and 1,5 km/h travel speed. The platform’s maximum work height is 13,9 m, horizontal reach 12,6 m, weight 8170 kg and 250 kg allowed load. The crawler is equipped with 400 mm rubber shoes. Articulated dump trucks (ADT’s) are off-road vehicles similar to rigid dump trucks, but they differ in the chassis modification (whether it is rigid or articulated). Articulated dump trucks have all-wheel drive (6 wheels) and are made of two main parts, the front one, called “tractor”, and the rear section, which consist of the dump body. ADT’s are also smaller and more compact against rigid dumpers, which makes them suitable for muddy and soft terrain and they can climb steeper slopes. Moreover, they can sometimes travel on standard roads when moving from one worksite to another. The most recent AH-D series features 4 models, AH250-D, AH300-D, AH350-D, AH400-D, ranging from 23 to 37 tons. This is the actual serie of medium-sized Hitachi crawler excavators, including models from 6,65 (ZX70-5G) to 38,3 tons (ZX400LCH-5G). What makes these machines so popular is the minimalistic design, speed, power, durability, which altogether help to increase productivity and reduce maintenance costs. Komatsu also promises long-life excavators thanks to engineering precision and well-balance when constructed. This category biggest machine is the ZX400LCH-5G, over 38 tons heavy model using Isuzu AA-6HK1X engine of 184 kW (246 HP) capable of digging force of 246 kN with 1,90 m3 bucket. If operating in narrower and restricted areas, smaller models such as the ZX70-5G / ZX70LC-5G or ZX85US-5A should be a better choice - having a smaller bucket (0,13 - 0,33 m3) and less weight ( 8,93 tons - ZX85US-5A / 6,95 tons - ZX70-5G). What is more, ZX70-5G / ZX70LC-5G are durable machines for tough conditions - their engines (42,4 kW / 56,9 HP) are designed to increase its maximum torque to keep running without a decrease in speed - even at high attitudes and in hot climates. The ZX85USB-5 is an eco-friendly machine featuring ECO control system, which lowers the engine speed when control levers are in neutral position to reduce fuel consumption and emissions. These serie includes models from 48 to 87 tons. 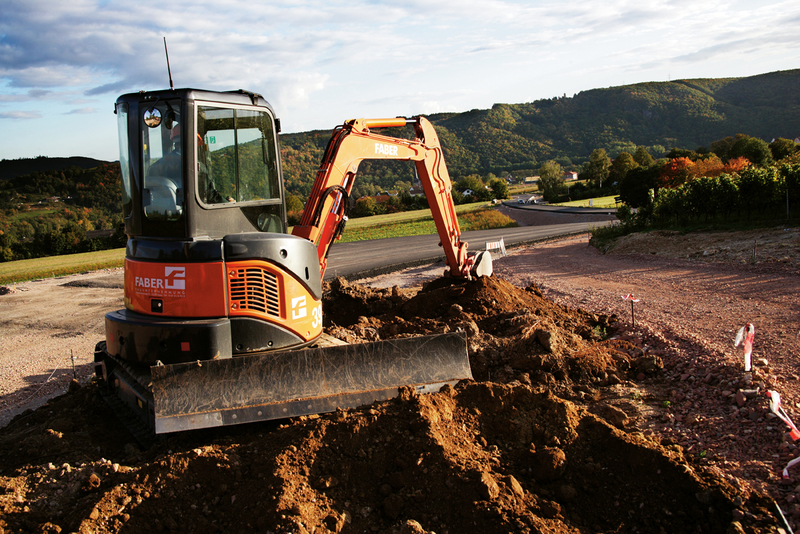 These excavators are built to operate in the most challenging environments. They are able to complete difficult tasks such as earthmoving, mining and quarrying. The ZX490LCH-6 is a durable machine, because it´s boom is reinforced with thicker plates and so is the undercarriage, also the cab is made of weather-resistant material in order to prevent damage from UV rays. The ZX530LCH-6 offers 30% greater traction force than the ZX490LCH-6 and also increased steering force. If there is a need for greater swing power, the 70 ton heavy ZX870LCH-5G draws the attention. It is bearing a new swing device capable of 9% improved swing power compared to the previous model - ZX670LCH-5B, useful when loading heavy materials onto a dump truck with its 4,30 m³ bucket. Hitachi states that the ZX890LCH-6 is their most durable machine yet, designed to work all day and night in tough environments. It’s body is strengthened with many components, such as the idler bracket, motor guard, reinforced arm or engine protection. These upgrades make the ZX890LCH-6 a tough machine, efficient to dig and load materials in the most challenging work sites around the planet. Giants. Monsters. Beasts. This ultra-large Hitachi excavator EX-6 series includes six models ranging in size from 100 ton to 800 ton class - EX1200-6, EX1900-6, EX2600-6, EX3600-6, EX5600-6 and EX8000-6 (available with both shovel and backhoe attachments). Loading shovels (as Hitachi names the EX-6 series) offer high productivity as it means as few loading and dumping cycles as possible - due to their large-size buckets (5,20 m3 - 43 m3). Hitachi loading shovels also feature a special auto-leveling crowd mechanism, facilitating the operator’s job and increasing the level crowding force. Hitachi also claims that no matter if using the EX1900-6, the EX2600-6 or any other shovel, all of them provide one of the lowest cost-per-ton options for moving and/or loading materials in their class. Hitachi machines belong to the largest in the world in their class. The EX5600-6, 537 tons heavy excavator launched in 2012, is currently the 7th largest in the world (he succeeded the 5500-6 model). His bigger brother — the EX8000-6 — launched also in 2012, is the second largest mining excavator in the world, being 811 tons heavy (first place goes to Bucyrus RH400, currently owned by Caterpillar but originally launched by Terex in Germany in 1997, weighing over 887 tons). 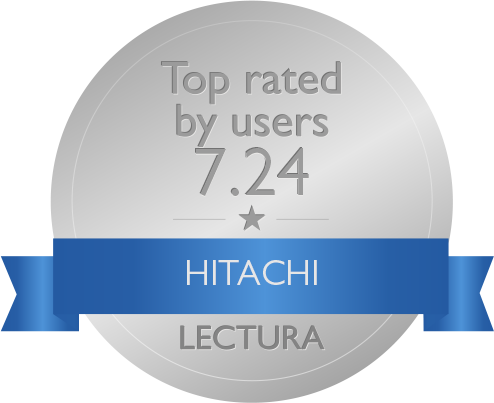 In July 2018, Hitachi announced the development of EX-7 series — new generation of 6 improved models based on EX-6 series — hitting the global market in April 2019. Hitachi Construction Machinery Co., Ltd. is developing information and communication technology (ICT), as a forerunner in the upcoming era of the Internet of Things (IoT). Hitachi has started releasing its intelligent hydraulic excavators in 2017 with the launch of ZX200X-5B (and the modification ZX200LCX-5B) in Japan. The system uses satellites and sensors to convert 3D data on the construction target. This allows the front part of excavator to be semi-automatically controlled. This function can, for example, prevent excessive excavation by controlling the boom (arm) and smoothening the whole operation. In October 2018, have HITACHI Construction Machinery (Europe) NV launched a brand new model designed exclusively for EU market — the ZX210X-6 (and its modification, ZX210LCX-6). This model was designed to increase efficiency and it achieved for about 30-50% better results against the standard version, ZX210-6). Its key features are the bucket angle retention and overcut protection function. Hitachi claims that ZX210X-6 owns one of the fastest responsive sensors (boom, arm, bucket, body) available. Hitachi makes the release of its first European machine a significant milestone and declares to release additional ICT series models in the future. When looking for fuel cost savings, one of the hybrid excavators (ZH210LC-5B, ZH210LC-5, ZH200-6, ZH200-5A, ZH200-5B) seems like the right choice. These machines are efficient in comparison with their “standard” counterparts, eg. the ZH210LC-5 is able to work for 3 days until its fuel tank goes empty and the ZX210LC-3 can work for about 1,5 days having the same tank capacity. Moreover, the hybrid ZH210LC-5 creates less CO2 emissions (up to 31%). The newest hybrid model, Hitachi ZH200-6, offers reduced fuel costs by 20 % in comparison with the ZX200-6 (in power mode) and 25 % reductions against ZX200-5B. These numbers are achieved by efficient electrical energy storing, using a lithium-ion battery. As a result, 38 % more energy regeneration is processed during swing deceleration, compared to previous models. This is the second generation of LX series, launched in 2003. Starting from the smallest model LX145E, this series has been designed from experience with previous series. This means constructing the models so they can daily withstand tough conditions. It was achieved by placing the components as far to the rear of the machine and as close to the ground as possible without affecting the ground clearance, making the LX145E and LX170E very stable and improving machine’s capacities. The operator’s comfort is also provided by modern ROPS/FOPS cab or adjustable seats. Hitachi used high-torque Isuzu Stage II ready engines for the LX series. The largest power, 243 kW, is offered by LX360E. The largest model weights more than 29 tons and his dimensions are 9,4 m x 3,5 m x 3,6 m. The LX360E also provides 4,7 m3 bucket capacity, making it ideal for usage on bigger worksites. The 21-ton LX290E offers a bit smaller capacity than LX360E — 4 m3. It is driven by 228 kW Isuzu engine. The LX210E is a compromise between large-sized models like LX360E and smaller-sized ones like LX170E. It offers 3 m3 of bucket capacity and 173 kW of power, the standard dimensions are 7,7 m x 2,7 m x 3,35 m and the weight is over 17 tons. The ZW series features 2 to 47 tons heavy wheel loaders with many innovations. These are: comfortable and safe cab including ergonomic seat and improved visibility, quiet Stage IIIA (e.g. ZW30) - Stage IV (e.g. ZW550-6) emission rank engines, improved controllability, requirement of minimal force to operate, better gradeability on hills or improved digging. Some WH models, such as ZW330-6, have hydrostatic transmission providing easy usage and controllability. All models are also environmentally-friendly — even the largest machines such as ZW370-6 — due to efficient engines and design with reduced noise and low emission exhaustion. Some models are also designed to be able to work daily under harsh conditions, as an example, few models of ZW220-5 are working in Nuuk, Greenland, transporting pipes used at job sites in temperatures of less than -25 °C. There is also a special series in the ZW series, called the “ZW MINI” series, featuring 4 models: the smallest ZW20, ZW30, ZW40 and the largest ZW50. They range from 2 to 3,7 tons, offer bucket capacities from 0,5 m3 to 0,9 m3 and max. engine output is from 15,8 kW (21HP) to 30,4 kW (41 HP). They are compact due to their lesser dimensions, having low centre of gravity for better stability and low turning radius for easy maneuverability in urban areas. Other models, such as the ZW65-6, are versatile and appropriate to wide range of applications like recycling, construction work and agriculture. Therefore, ZW65-6 can be equipped with a fork attachment, offering better visibility hence better work performance. The ZW180PL-6 is standardly equipped with pallet fork making it suitable for material handling. The ZW220 is equipped with strengthened drive system (164 kW / 220 HP) for tough conditions in quarries with maximum weight of 17,5 tons and bucket of 3,4 m3. Hitachi ZW310-6 offers traction force improved by 25 % against the previous model ZW310-5 as well as 4,5 m3 maximum bucket capacity and 232 kW Isuzu engine. The largest machine in the series is ZW550-6, made of robust and strengthened material to withstand the toughest conditions and environment. Its cabine offers 360°C view, which is useful when loading and unloading material in reckless mines and quarries, granting the best productivity. The ZW550-6 also offers 4-wheel drive system driven by Isuzu 6WG1 engine of 382 kW (512 HP) EU Stage IV / Tier 4 relevant fed by 648 L fuel tank. This 11 m long machine weights over 47 tons and offers maximum bucket capacity of 7,0 m3, being able to transport large amounts of material each lap. The ZX10U-2 is currently the smallest model available and fits the most restricted areas. This model features a retractable undercarriage and blade, hence adjustable width (780 mm - 1000 mm). Together with the collapsible TOPS (tip-over protective structure) is the ZX10U-2 more compact and easier for transport as well as ideal for working close to walls or on busy municipal work sites. The ZX10U-2 is small, but still sufficiently powerful — featuring Yanmar 3TNV70 engine of 9.5 kW (12.8 HP) supplied from a 16-litre fuel tank. The ZX17U-5 and ZX19U-5 are a bit larger models (1 760 kg / 1 880 kg) sharing the same pros with the ZX10U-2. The ZX19-5 (=ZX19-5A) is designed with a new square-shaped cabin, offering even better view and therefore operator’s comfort than other models and a new blade made of high-strength steel. When working on larger sites, the ZX33U-5A and ZX38U-5A come in handy. With larger bucket capacities (0,08 m³ / 0,10 m³) than smaller models, these two machines provide better productivity on less restricted work sites. The biggest model in ZX-5 series is the ZX65USB-5 (6290 kg). Its bucket capacity is 0,22 m³ and the bucket digging force 41.1 kN, allowing it to achieve satisfying digging results. The model runs on 34.1 kW (46.4 HP) Yanmar 4TNV94L-ZWHB engine with advanced energy saving system. The three remaining models are ZX26U-5, ZX48U-5 and ZX55U-5. Introduced in 2013, the AC-3 is the most advanced Hitachi dump truck series, featuring 3 models: the EH3500AC3, the EH4000AC3 and the EH5000AC3. These are featuring Hitachi drive control system, made of AC drive system (originally designed for high-speed bullet Japanese trains - Shinkansen) and mining excavator technology. Together with more stable haul system, the AC-3 models achieve higher levels of productivity, safety and efficiency than the previous models. The EH3500AC3, the EH4000AC3 and the EH5000AC3 are driven by powerful QSKTTA60-CE, QSKTA60-CE and QSKTA50-CE Cummins engines. Due to Hitachi drive control system features such as slip-slide control, pitching control, and side skid control, dump trucks offer easy maneuverability, smooth handling and user-friendly controls. The EH3500AC3 is a mid-range truck with nominal payload of 181 tons, capacity of 117 m3, 1 491 kW Cummins engine (56 km/h), weighing 322 tons. This machine is designed to operate with Hitachi EX2600-6, EX3600-6 and EX5600-6 ultra-large excavators. The EH4000AC3 is a larger model than the EH3500AC3, offering nominal payload of 221 tons, body capacity of 154 m3, 1 864 kW Cummins engine (56 km/h) and weighing 384 tons. It is designed to cooperate with the largest Hitachi excavators: EX3600-6, EX5600-6 and EX8000-6. The largest Hitachi dump truck is EH5000AC3 (actually the 10th largest mining dump truck in the world). This colossus weighs 500 tons, offers nominal payload of 296 tons, body capacity of 202 m3 and is powered by Cummins QSKTTA60-CE engine (2 125 kW / 2850 HP, 56 km/h). Just as the other two models, EH5000AC3 is designed to work with large Hitachi excavators (shovels) like the EX8000-6. The KH-3 series covers Hitachi hydraulic crawler cranes, ranging from 35 tons to 150 tons of lifting capacity. The smallest model is KH125-3 offers 35000 kg lifting capacity at 3,6 m working radius. Its basic boom is 10 m long (40 m max. boom length), max. boom with jib is 46,2 m long. The KH150-3 is capable of lifting 40 tons at 3,7 m, whereas the KH180-3 can lift 50 tons at 3,7 m. Both models are driven by 110 kW Hino engines. The lifting capacities also raise with the model number: KH230-3 (60 tons at 3,7 m reach), KH250HD (64 tons at 4 m), KH300-3 (80 tons at 4 m), KH500-3 (100 tons at 5,5 m) and the largest model, KH850-3 (150 tons at 5 m). Launched in 1994, the CX series is basically fully remodeled version of the KH series. Hitachi designed these models to be dependable, operator-friendly and comfortable. New features include: improved winch system - enhanced controllability and productivity, improved hoisting and lowering line speeds, increased rope diameter (more efficient bucket operation), boosted heat dissipation (for the brake) and improved cab design (comfort and convenience). CX400 is the smallest model, build from KH150-3, offering lifting capacity of 40 tons at 3,7 m (10 m standart boom) and 136 kW engine power. CX500 and CX550 offer lifting capacity of 50 tons / 55 tons at 3,8 m / 3,7 m reach and 52 m max. boom length, while driven by 132 kW engines. The largest model is the CX2000, providing 200 tons lifting capacity at 5 m reach and boom adjustable to 90 m (18 m standard), the engine is Isuzu A-6RB1T of 221 kW. The remaining models are CX650, CX700, CX700HD, CX800HD, CX900, CX900HD, CX1100 and CX1800. The AH-D, 4-model series, features various add-ons in comparison with older machines — EVB (engine valve brake) and new vet discs for bigger braking force and smoother stopping, transmission lock-up mode for fuel reduction, innovated ROPS/FOPS steel frame cabs, fully automatic transmission and the full-hydraulic orbital steering system for smooth, low effort and yet direct steerage. The AH400-D is the largest Hitachi ADT, offering rated payload of 37 tons, 308 kW (413 HP) net power, heaped body capacity of 22,5 m3 and 52 km/h travel speed. Hitachi AH350-D is a little bit smaller dumper in comparison with AH400-D, offering 32,5 tons payload, body capacity of 20,1 m3. This 28 tons heavy machine is powered by 283 kW (380 HP) Mercedes Benz engine, capable of driving at 54 km/h. The AH300-D’s operating weight is 19,5 tons and 46,8 tons when fully loaded (therefore 27,3 tons rated payload), body capacity 16,6 m3 and powered by 198 kW (265 HP) Mercedes Benz engine. When looking for even smaller dump truck, the AH250-D should catch one’s eye. This model provides payload of 23,2 tons (18,3 tons unloaded operating weight), 13,8 m3 body capacity, sharing the same engine power with AH300-D (198 kW/265 HP). All the engines are EU Stage IIIA rated.